SAB TV and producer Benaifer Kohli after making a very popular FIR, which turned Kavita Kaushik into the delightful Chandramukhi Chautala, are now making another comedy. The still untitled show stars Shruti Ulfat, Akshay Anand, veterans Rita Bhaduri and Bharti Achrekar and child star Sparsh (Ichcha of Uttaran). Shruti Ulfat confirmed she is a part of the show but refused to divulge any details. 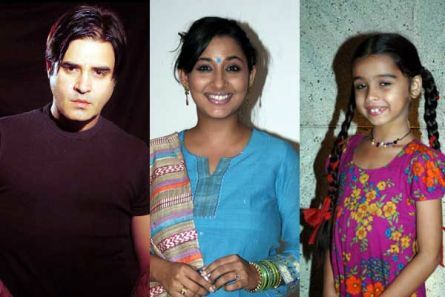 Where Sparsh’s mother sounded clueless about the show, Akshay Anand remained unavailable. Ulfat was to do Red Chillies’ Fauji 2, but the show apparently has been canned. We sent a text message to SAB Business Head, Anooj Kapoor but he didn’t revert. Producer Benaifer Kohli too refused to comment. We hope the success streak continues.